First of all, I hope you had an amazing start into 2019! Can you believe it that January has passed? I am feeling that lately time is going by too fast! Moreover, it’s been a long time since I’ve posted something on my blog. I truly appreciate hearing from my fans that I’m missed. After almost more than one-year break from the blogging universe, I have decided to come back with a bang! So I am happy now that now I own the domain of my website. This time around I would like to do more post on my previous and future travel trips. Apart from the above-mentioned places, I have also travelled to Berlin, Madrid, Amsterdam, Rotterdam, Milan, Pisa, Florence, Venice and to my Caribbean home island of Bonaire and also Curacao. All of the above were very beautiful locations and experiences. Each was of course quite different from another. It’s really fulfilling for me to have crossed them off my bucket list. I am looking forward to writing about each location in the coming weeks. This time around I will dedicate more time in writing and telling you more about my past travels… Hopefully I can make time for it as I cannot sit still! I already have one destination pinned down for next month, so you have to stayed tuned. I especially post a lot of my travel stories on my Instagram Account. I am now already living and working 2 years in Hamburg! Wow, it’s crazy how time flies! These 2 years in Germany was exactly what I needed. Not only did my German improved, but I got to know a new culture. Germans may always seem “cold” or tend to categorise everything, but working and living next to real Germans really gave me a different perspective. They can be friendly and open in time, of course they need time to open to up to different people. Also, living in a different country means adapting to the way of living of your surroundings. I am someone who is open-minded and who can easily adapt to any situation. Especially my first year in Germany was not smooth sailing as I was not where I wanted to be at that time. Therefore I also needed to take a break from blogging and focus on me. Furthermore, for me making new friends was essential (as it is for everyone). To be part of the same society and especially sharing the same beliefs and interests is very important to me. 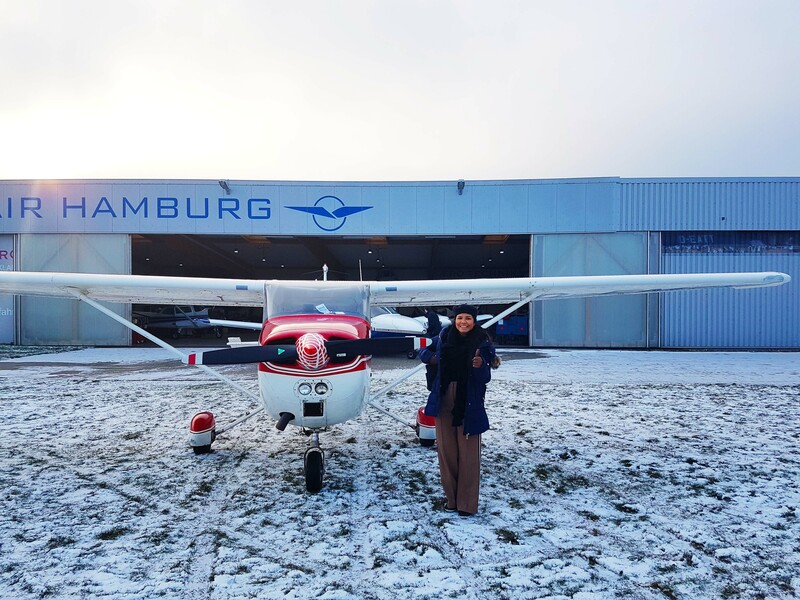 In Hamburg there is a pool of international people and even though the city might not be so big as for example Berlin, it can be difficult to establish good relationships with people. I’m very lucky to have met wonderful people, who are now my close friends. Although becoming friends with Germans is not an easy feat. It really took me some time to connect with new people and really make the friendship work. Still most of my friends are actually international people from all over. 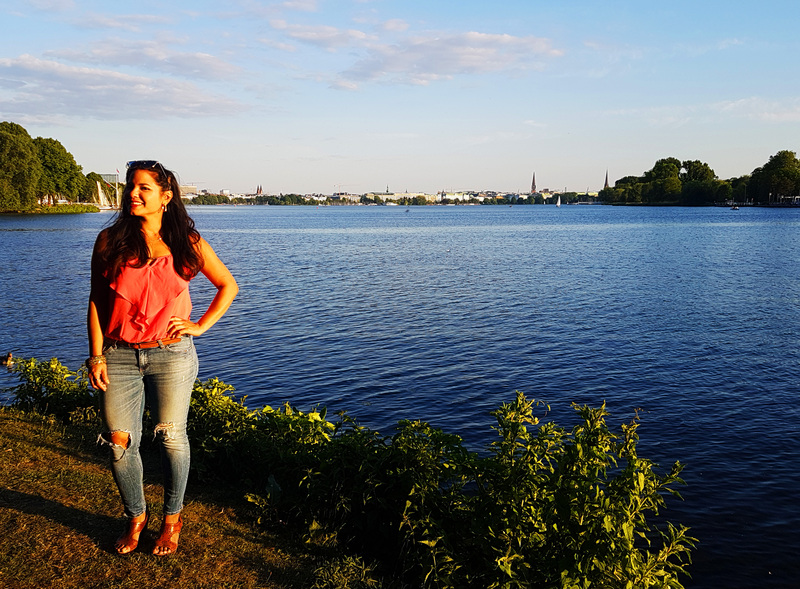 Overall the past 2 years I did have ups and downs, and for me I needed to get out of my comfort zone and find the challenge I needed in order to appreciate my new lifestyle in Hamburg. Now I’m living quite central and close to many of the highlights of the city. At the moment I feel really blissful and more appreciative of what 2019 will bring! So far, 2019 was off to good start and I already did a trip to Madrid. To be honest, in January I like to just chill and reflect in the comfort of my own home as the weather is mostly cold and wet in Hamburg. Of course doing fun stuff as well, meeting friends for drinks or eating out. It is really nice to look back at the end of the year to see what you have accomplished. For example, last year (November 2018) a goal of mine was to conquer my fear of heights. 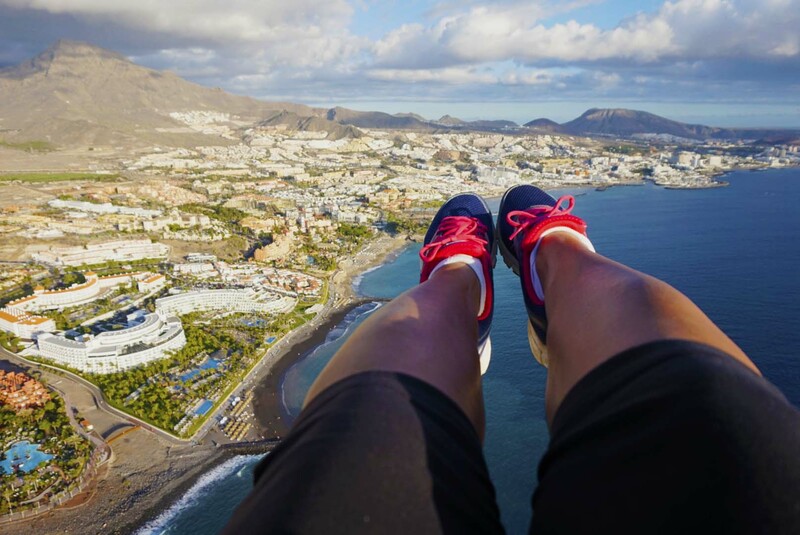 So I did tandem paragliding (at 1000 meter of altitude) during my 30th birthday celebration on Tenerife, which I will tell you more about in a different post. That’s it for now. Remember not to give up and always keep your vision alive! If you realise your goal is too broad, break it down into monthly, weekly and finally into daily goals. Be patient and make this year unforgettable! Most importantly, do not forget to enjoy the journey and to get outside of your comfort zone! I was there in Tenerife too last year..when had you been there?